It’s where country charm and tranquillity meet the best of contemporary, urban living. A place to put down roots and build memories. A place to call home. 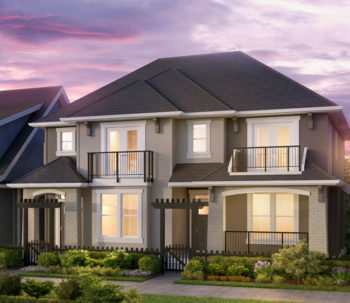 Introducing Latimer Heights: a 74-acre neighbourhood that will become the new gateway to Langley and is the largest master planned community in the Township of Langley. 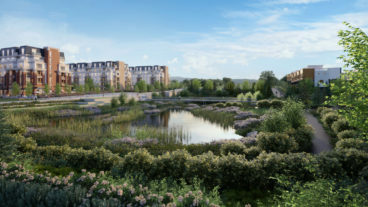 Located in the northwest area of the Township of Langley, the community will include nearly 2,000 new homes, 34 and 26 storey high rise apartment buildings, over 36,000 sq. ft. of commercial space, 108,000 sq. ft. of office space and 17 acres of parks, trails, elementary school and green spaces. With Neo-Georgian architecture, Latimer Heights evokes a sense of something new and different while maintaining a deeply rooted familiarity. 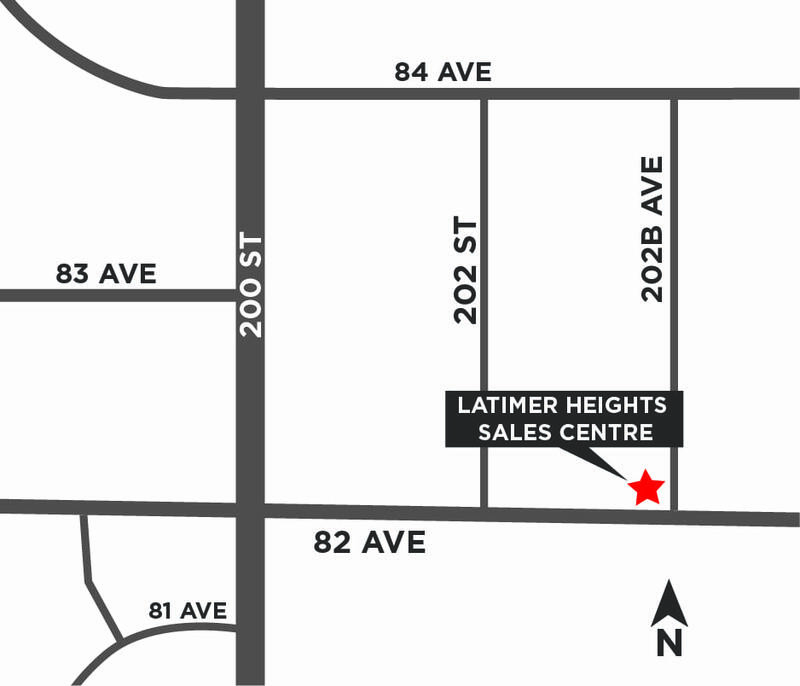 Built to foster a multi-generational community that people can invest in, Latimer is social, sustainable and serene. From Townhomes, Single Family Homes, High Rise Apartments, Rowhomes, Duplexes, Boutique Retail, Office Buildings, Condos and even the Latimer Village Shopping District, this is a community built on a foundation of quality craftsmanship and long-term relationships. An urban centre in the heart of the Fraser Valley where families can settle and grow for generations to come. See our site plan for more information. Langley is known for its pristine rural setting nestled along the urban gateway of the Fraser Valley. 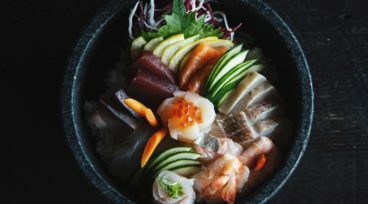 Praised for its small-town accessibility and proximity to provincial parks, this community sits in the centre of the Fraser Valley and will become a fast-growing hub for urban expats. For those willing to look a little farther out, beyond the status quo, Latimer Heights is preparing to deliver much more. Those who think forward can see a rewarding new horizon. 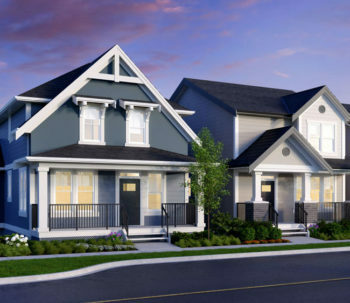 The first release of homes are arriving April 27th 2019 and will include Single Family Homes, Rowhomes and Rooftop Patio Townhomes. Ensure to register to receive exclusive invitations, floor plans, pricing, product releases, pre-sale information and more all prior to the general public. An elegant collection of 3- and 4-bedroom single family homes offer Craftsman-inspired exteriors and spacious, well-appointed interiors ranging from 2,519 to 2,812 square feet. Sophisticated and unique 3-bedroom duplex homes, ranging from 2,348 to 2,579 square feet, stand out with upscale exteriors. 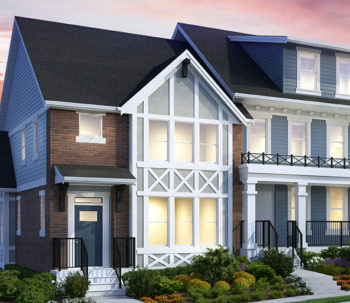 Unparalleled in architectural design these 3-bedroom freehold rowhomes, ranging from 1,400 to 2,015 square feet, feature extensive exterior detailing designed to visually enhance streetscapes, create a sense of place, and protect the re-sale value of your investment. 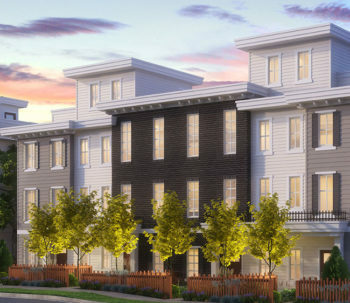 A collection of modern, spacious 3 and 4 bedroom townhomes, ranging in size from 1,540 to 2,259 square feet. These unique homes feature a private rooftop patio complete with a BBQ gasline and structurally engineered to fit a hot tub (most homes), making it the perfect place to entertain or relax and enjoy a sunset.